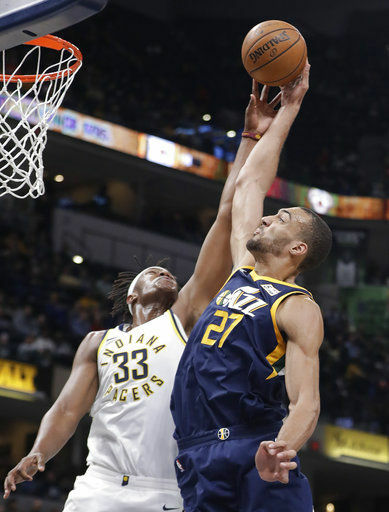 The Jazz were 17-26 after losing to the Pacers on Jan. 15, but they’ve gone 18-4 since to reach 35-30. They were a half-game behind Denver for the eighth seed before the Nuggets hosted Cleveland later Wednesday. And it’s evident — especially on the road. After starting the season 5-19 in contests away from Salt Lake City, the Jazz have won nine straight road games. Utah’s offense was sound. The Jazz shot 51 percent from the floor and had 30 assists on 51 baskets, while Indiana had just 12 assists. 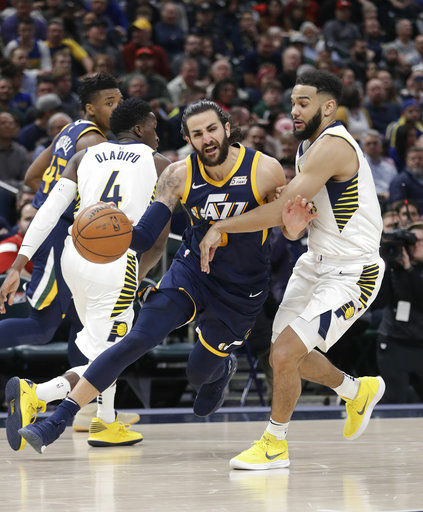 Utah’s win snapped a three-game winning streak for Indiana as well as a three-game home winning streak for the Pacers. At 37-28, Indiana is far ahead of where many expected the team to be in March. While the Pacers are almost locked into the Eastern Conference playoff picture, their seeding is less certain. The Pacers are on Cleveland’s heels for the third playoff spot, but after a matchup with Atlanta on Friday night, Indiana’s next four games will be against current Eastern Conference playoff teams, with two of those contests on the road. Indiana: Bogdanovic has scored in double figures in 14 straight games. It is the longest such streak of his career. … Indiana is 11-11 against the Western Conference. Utah: Joe Ingles recorded the first double-double of his NBA career with 11 points and 10 rebounds. … This was Utah’s 21st win of the season against teams above .500. The Jazz have now won two of the last three games at Indiana.